The Simplest on the Market! No tools, No Wretches, No Clips! The sole tool able to manage the vineyard canopy from the End Poles. 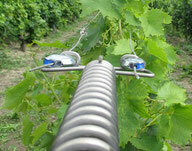 As we may know, a modern vineyard planting allows to save money on the labor costs. 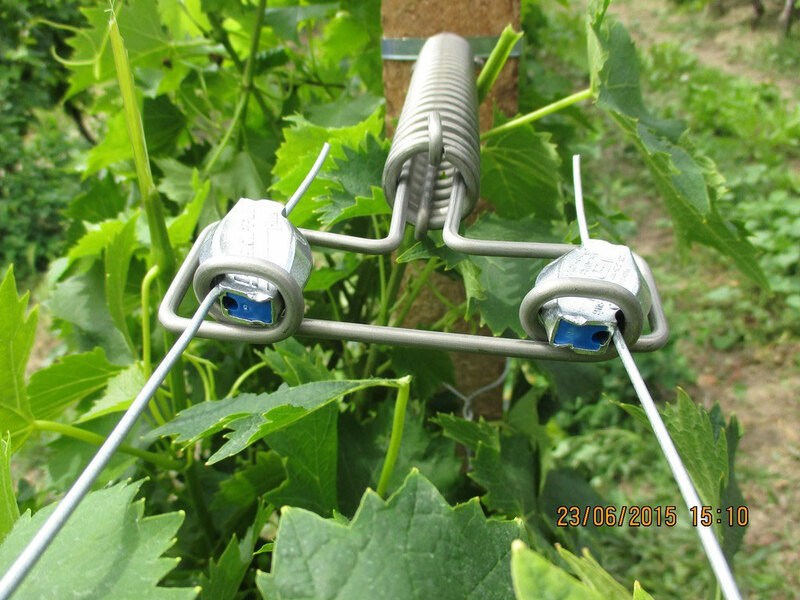 Thanks to the new technologies and to our new generation of machines, we can offer different types of new accessories that can manage the canopy. 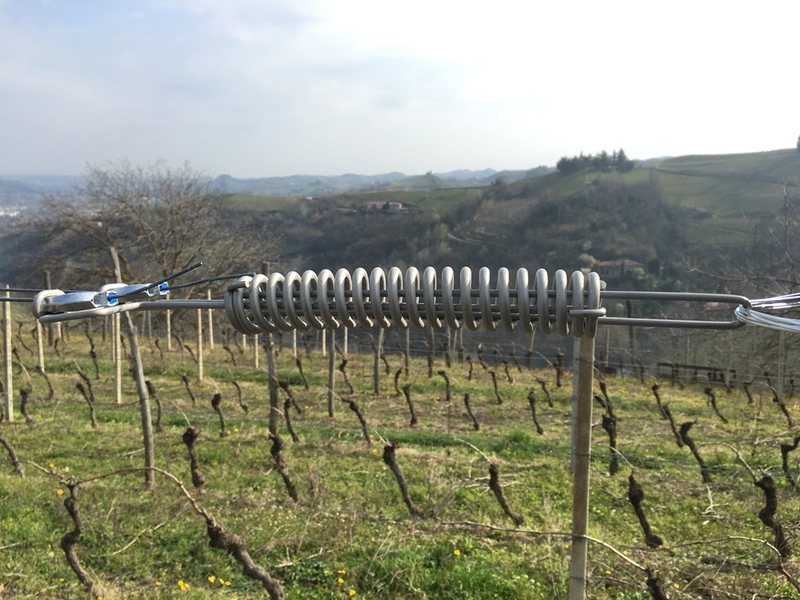 The tension spring can be set up in those flat vineyards (without big climbs or descents) to raise the vine-shoots from up to down and from down to up automatically by the use of these tension springs. 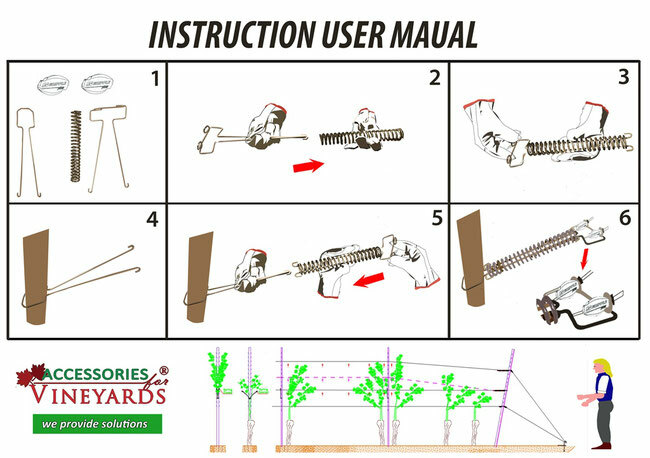 This tools are perfectly suitable for the automatic operations in the field as well, such as pruning, shoots lifting and harvesting. 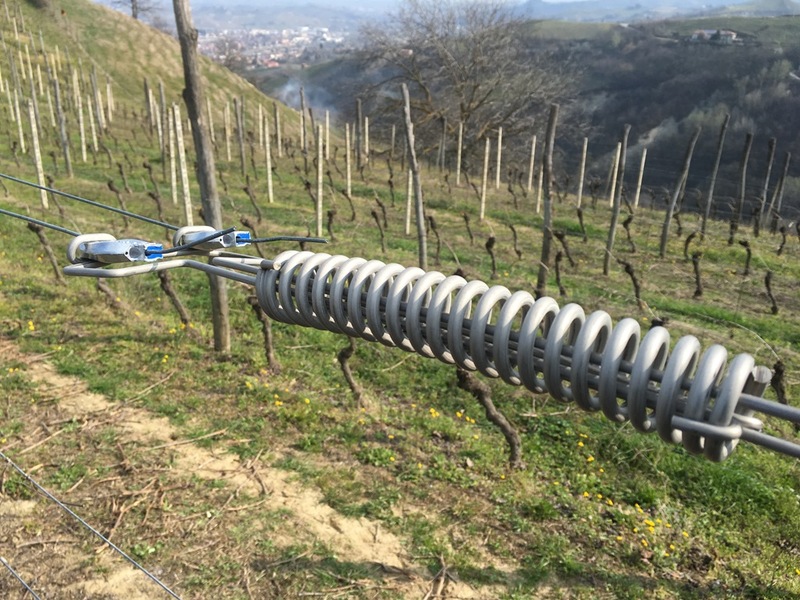 The compensator spring helps the winegrowers to move down/up the wires as they prefer following the canopy growing. 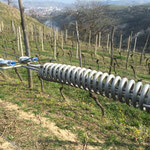 This operation must follow the season and the vine-shoots growing process. 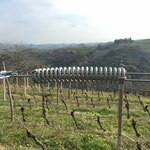 Our version of the tension spring is totally different from what is already presents on the market. 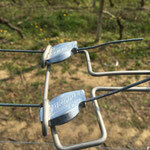 - No Tensioning device tools or Blocking devices. Tensioner Spring from 0 to 100 kg. Tensioner Spring from 100 to 200/300 meters. 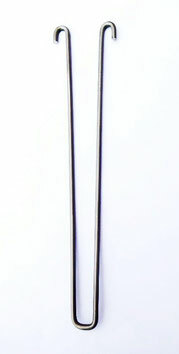 The locker device is a simple "U" bend that closes and locks the compression springs. The Effemme part is our invention. This part works together with two wire joiners gripple and we call it controlling part. 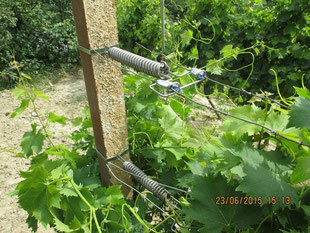 In the picture hereunder you can easily see how they work together. All these parts are made with the best wire presents on the market. We always purchase stainless steel of first choice. Tests and certificates are always available as a warranty for the customer. 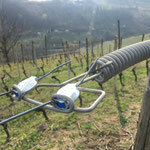 For this and other reasons this accessorie has a long life expecting more than the whole cycle of the vineyard. If bought with a universal metal strip, it can be used in different poles, such as metal, concrete and wooden ones. 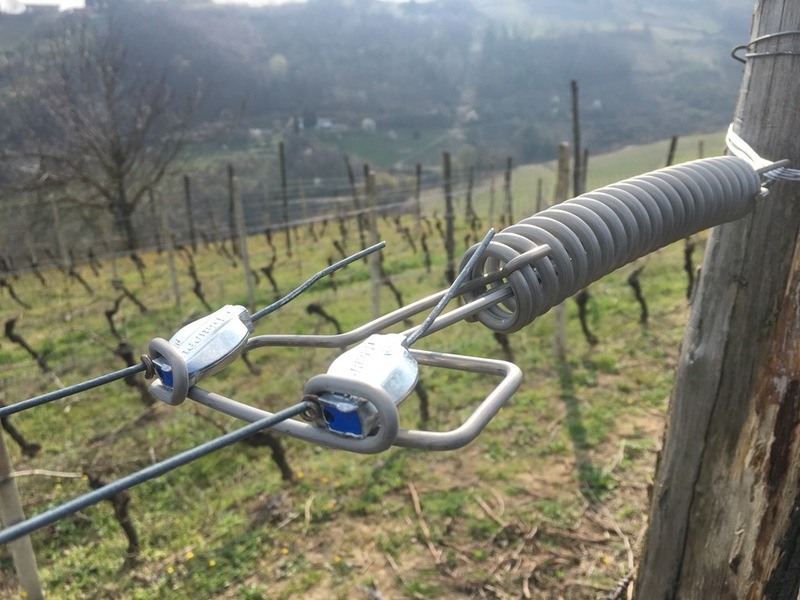 This accessorie can also be sold as spare part for other Vineyards with other Wire Tensioner already presents on the market. 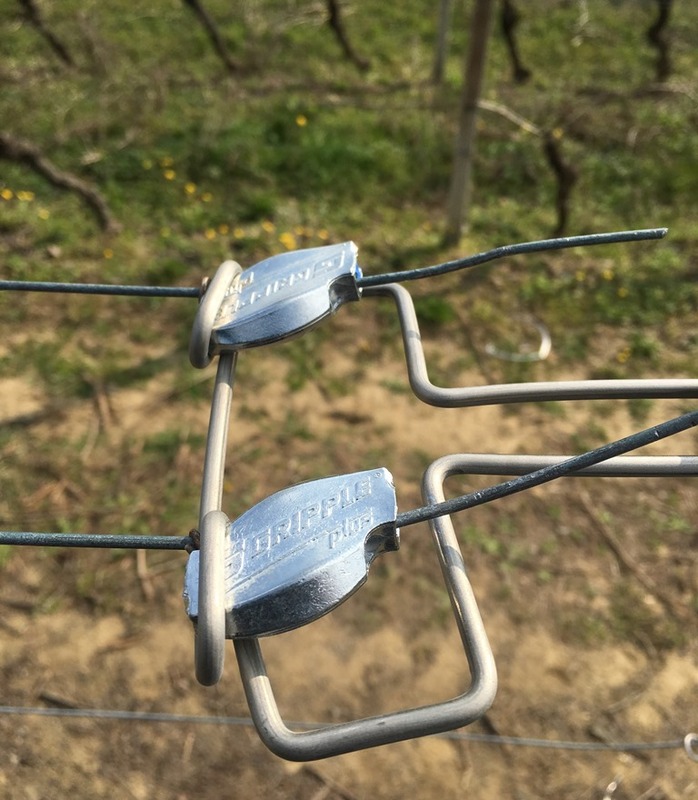 In fact once tested, every winegrower will keep using it as the Simplest on the Market! TRY IT AND YOU'LL FORGET THE OTHER ONES!